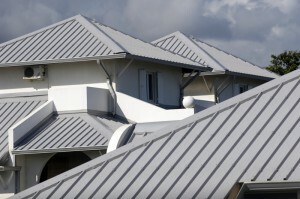 We work with developers, builders, architects and engineers to provide quality metal roofing & supplies for residential, commercial and agricultural roofing projects. Every panel and trim component is manufactured to the highest Metals Direct standards and backed by our dedication to service. 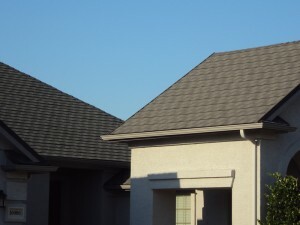 Whether you choose our painted metal panels or our Divine Tile & Shake Stone-Coated Steel Roofing, our roofing systems will add an attractive finish and provide extra protection to any structure. Metals Direct offers a wide selection of painted metal roofing & building panels, both exposed fastener and concealed fastened Standing Seam Roofing profiles. Most profiles are available in 29 and 26 gauge material, and a wide range of colors including custom-matched colors. We offer colored trim and fasteners that match all standard colors lending a distinctive appearance to your metal building project. 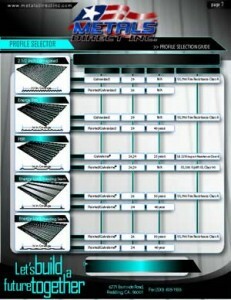 Tradition meets technology with this high-performance roofing system. 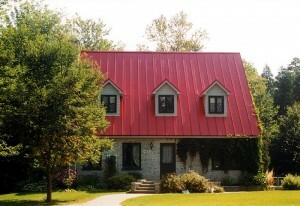 Light & strong, Metals Direct Inc.'s stone-coated steel roofing tiles and shakes are formed from galvanized steel that is sprayed with an acrylic emulsion resin binder and covered with stone chips. There are nine layers of protection providing superior weather and corrosion resistance.